Note For information about how to use a USB flash drive as a memory unit on your Xbox 360 console, see USB flash drive support for Xbox 360. To troubleshoot USB flash drive issues, see Xbox 360 storage. Note Test your USB device after each solution to see if the device now works. If the first solution doesn't resolve the issue, go to the next solution. 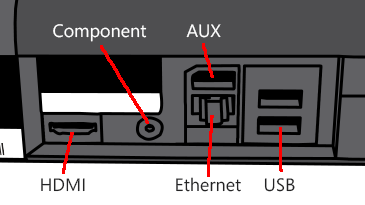 Connect the USB device to a different USB port on the console. 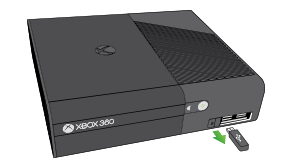 If the device works in another USB port, the Xbox 360 console may require service.